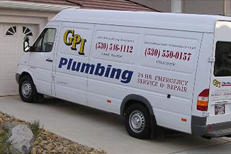 “GPI Plumbing answered an emergency call at 9PM and had people out the next day morning on a weekend excavating and fixed our major plumbing issue within a couple hours. Completely professional and was over all a fantastic experience.” – Mike G.
“I had a leak that needed immediate work – otherwise I would have to turn off the water to the whole house until fixed. I Called GPI on a Saturday and they returned my call in an hour. They made it to our place in an hour as promised.” – Steve L.
GPI Pluming services all of Truckee CA and the surrounding areas! We are available day or night, 24 hours a day, seven days a week. Our plumbers are fast, courteous, and genuinely care about your well-being. We have the knowledge and experience for all your Truckee CA plumbing needs. We understand how stressful an emergency can be, which is why we will always show up quickly to fix your problem. If you are having an issue with your pipes, drain, faucets, or any other plumbing issue, call us now at 530-550-0157. Quick Diagnosis: Our emergency specialists quickly diagnose any problem, from simple leaky pipe repair or broken pipe repair to toilet clogs and complex sewer troubles. Fast Action: Once diagnosed, your problem is fixed in the least possible time by our experienced Truckee plumbers. Responsive Service: Once your problem is fixed, we clean the mess to leave your home in pristine condition. Well-stocked Vans: Our vans are well-stocked to handle your emergency plumbing needs without delay. No one expects they will have to deal with a plumbing emergency, but unfortunately they do happen. Without the proper experience and knowledge, it can be difficult to determine exactly what the problem is and how to correct it quickly and effectively. By calling an emergency plumber in Truckee such as GPI, we will be on our way with our trained experts to fix your problem and get your home or business back to normal quickly. We have the necessary knowledge and experience to provide you with a quick and effective fix to any urgent plumbing issue. Burst Pipes? Leaking Drains? Broken Faucets? Pipe thawing? Clogged Sewer? There are many pipes that run throughout your house and connect to your sinks, toilets, washing machine, dishwasher, water heater, garbage disposal and fridge. Chances are you will discover a problem with one of them sooner or later and you’ll need an emergency plumbing company that you can count on. Truckee plumbing emergencies will always catch you by surprise – and at the worst possible time. 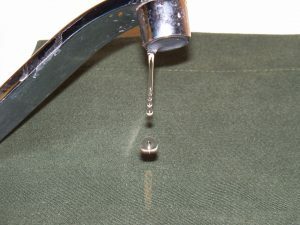 A simple water leak or clogged drain can quickly snowball into an all out catastrophe, throwing your life into chaos. 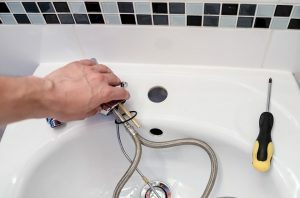 We use a hydro jetting technique to help solve any clogged drains you have as well as our leak detection service to find were you leaks are coming from. It’s best to get it taken care of right away before it turns into a bigger problem. Our emergency plumbers are available 24/7! If you need garbage disposal repair or a garbage disposal installation, we can do either. Our technicians are trained to correctly and safely install or fix your Garbage disposal so you can rest easy knowing it’s in good hands. If you’re replacing your old oil heating equipment and want an oil to gas conversion, then we are just the people you need. About half of the country uses natural gas already and for good reason, it’s cheaper. Gas-fired equipment costs less than oil-fired. For a basic furnace or boiler you’d pay triple the amount or more for oil then if you had gas. If you’re ready to make the switch , be sure to give us a call today. Frozen, broken or leaky pipe are all inconveniences that can lead to major headaches for your home or business. Pipe burst most commonly happen during the winter months when temperatures drop below freezing. A pipe burst in an attic can cause gallons of water to come raining down into your living room, while a pipe burst on a sprinkler line can go unnoticed until the water comes rushing through window wells or even the walls of your basement. Give GPI Plumbing a call as soon as you notice a pipe burst in order to minimize the damage and get your plumbing back in order. Our Truckee plumbers can handle any plumbing problem, from bathroom remodel plumbing and bathroom plumbing repair to clogged pipes and clogged drain repair. If you need water heater repair we can fix that as well. We also offer kitchen remodel plumbing and industrial and commercial plumbing services throughout Truckee CA and surrounding areas. Click here to view some of the cities we service. Don’t panic! Your plumbing emergencies don’t have to send your life into a tailspin.